The Anglo-Boer War was by far the biggest military campaign fought by the British Empire between the Battle of Waterloo in 1815 when Wellington subdued Nalopeon's Army, and the Great War of 1914-1918. It was the biggest army to leave Britain's shores since Henry V left for France to fight at Agincourt in 1415. Despite the terrible privation on occasions for both the military and civilian populations, it was one of the last of what we might term, the 'Romantic Wars', pitting a pioneering people, fighting to establish their independence, against the might of the British empire, which at that time was, in Queen Victoria's England, the high noon of a reign unsurpassed. Generally, the British and Colonial Forces fought with great courage and for most of the time, under the extremely harsh conditions of a vast, unknown and inhospitable countryside - the term 'Vastness of the Veldt' comes to mind. 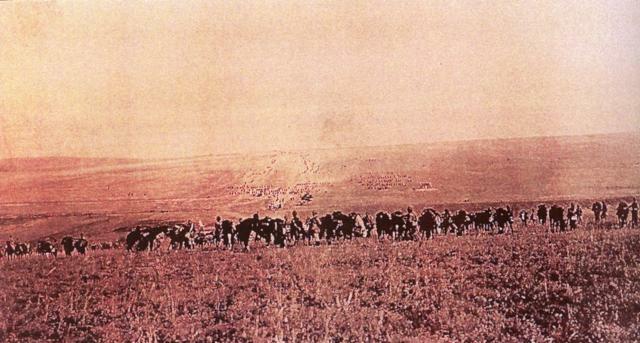 Despite this however, it is a fine testimony to the Boer soldier that it required some 430,000 Empire Forces - inclusive of Colonial Forces - (the majority of them being Mounted Troopers), almost two and a half years to subdue some 45,000 Boer troops, this number being the most that they could put into the field at any one time. Their bravery and courage on their home ground made them, on many an occasion, 'more than a match' for the British forces. It was the longest and most difficult colonial war in which we fought. It was the first conflict in which Australian Forces were engaged as a nation with the Federal Government, after 1901, sending Commonwealth contingents to the war. Some 23,000 Australians and 6,000 New Zealanders served in the Conflict with 520 and 232 respectively, paying the 'Supreme Sacrifice'. Sixty Australian Nurses went to the war and served to aid sick and wounded under, very often, extremely harsh conditions. It was the first war in which the "Bayonets' badge, known thereafter as the 'Rising Sun' badge, was seen on the Australian Army slouch hat. It was also the first war in which the forerunner of the 'Australian Light Horse' fought. The close association with the New Zealand Troops was first evident in this Conflict and they were frequently found to be fighting side by side. They really became the first ANZACS. Finally, many of the Officers of WWI were drawn from men who had had fighting experience in the Boer War. Australian Forces had the distinction of being the first of all English Colonial Volunteers to land at any of the bases of the war and open the first chapter in the real fighting military history of our Nation. Our soldiers quickly established enviable reputations as superb fighters using their bushcraft, riding and shooting skills to produce formidable fighting, units and future commanders. The Dutch, Huguenot and German ancestors of the Boers (the word "Boer" meaning Dutch farmer), first settled in the Cape of South Africa in 1652. After several earlier invasions, Britain took over the colony in 1814, mainly because of its strategic importance as a guardian base to the main sea-lane to India and Asia. Refusing to submit to foreign colonial rule, some 10,000 Boers left the Cape in 1836 and moved northwards on the 'Great Trek' and set up the Orange Free State and the Transvaal Republic. The Boers worked hard to build a new life for themselves. They had a great leader in Paul Kruger, whose brave, frank and straightforward manner sustained the morale of his people during the hard years of conflict. His Government in the Transvaal formed an alliance with the Orange Free State, which resulted in Britain sending additional British Forces to South Africa. On 10th October, 1899, his Government served an ultimatum on the British demanding the removal of British Forces from their Colonies in the Cape and Natal. This could not be accepted by the British and war followed immediately. Prior to this action, the discovery of gold and diamonds in the Witwatersrand in the Transvaal in 1886 sealed the doom of the hardy pioneer folk. The Transvaal was now a 'most desired' property in Empire expansion. Such riches drew foreigners ('uitlanders' or 'outlanders') like a magnet eventually outnumbering the Boers in that part of the country. The influence of Cecil Rhodes and other English diamond capitalists played a decisive role in 'fermenting' the Boer War. In 1895, over 500 British adventurers tried to seize control of the Boer Republic by staging the 'unofficial' Jamieson Raid into the Transvaal - this being organised by Cecil Rhodes. The raid was an utter failure, however it convinced the Boers that the British were determined to take away from them, by whatever means, their hard won independence. A conspiracy ensued by the British, headed by the British High Commissioner, Lord Milner, to negotiate with Paul Kruger over the status of the 'Uitlanders' - mostly British citizens, with the view to granting voting rights and full citizenship. With the failure of discussions, war was inevitable and hostilities broke out on 11th October, 1899 with the Boers invading Natal and the Cape Colony. The war took place in the area that is now South Africa. The British held a territory they called the Cape Colony, whilst the Boers held the Transvaal and the Orange Free State. showed their superiority and they clearly took the upper hand. The second phase lasted up to the end of 1900. During this time, the British army was heavily reinforced with mounted contingents from both Britain and the Colonies (Australia, New Zealand, Canada and India). This vast force literally rolled back the Boer. onslaught, invading their Republics and capturing their gold mines and capital cities. The war at this point seemed over. Lord Roberts the British Commander, handed over to his Chief of Staff, General Lord Kitchener. He returned to England a hero, together with many thousands of Britiah Troops. The war however, entered its third phase and was anything but over, continuing with even greater fury. The Boers fought on, dispersing into small mobile groups using 'Guerrilla Tactics', ambushing their enemies and causing great damage across the whole countryside. - swept the countryside implementing a 'Scorched Earth Policy' seizing supplies, burning and destroying farms and killing all cattle and livestock. An estimated 30,000 homes were destroyed. - built some 8,000 fortified block houses, each one in most cases, less than one mile apart. They were joined by barbed wire entanglements fortifying approx. 6,400 kilometres of country to keep the Boers in a defined area, gradually closing them in - a considerable engineering achievement for the day. - imprisoned women and children placing them in concentration camps, (both white and black people) in order to remove the source of supplies and equipment from the Boer Commandoes. A crusading English lady, Emily Hobhouse alerted the world to the horrors of the camps and was virtually seem as a Saint, both in England and South Africa. many of the British and Colonial soldiers engaged in the fighting. Finally, the Boers realised that the fighting was a 'lost cause', and sought peace with the signing of the Treaty of Vereeniging on the 31st May, 1902 and all Boer people became British subjects. However, within nine years, South Africa became a self-governing Dominion led by Boer Generals. This resulted in no granting of any 'legal equality' or 'the vote' to both black and coloured South Africans as was promised by the British. We know of course, the terrors that followed with the introduction of 'Apartied' in the decades after. The Transvaal and Orange Free State became part of a United British South Africa from that time. to name but a few - and received high praise from both the British High Command and the Press of the day. One of the finest examples were the comments of the celebrated writer and war correspondent, Arthur Conan Doyle in his publication/The Great Boer War - 1902' when he paid a very moving tribute to the efforts of the Australians in the much celebrated 'Siege of the Elands River Post' Quote: 'When the ballad-makers of Australia seek for a subject, let them turn to Elands River, for there was no finer resistance in the war'. Six Australian soldiers were awarded VC's and three of our nurses were awarded Royal Red Cross Medals. A total of 98 other awards were made to soldiers for bravery and special service in the field. 116,500 Boers (men, women and children) were held in concentration camps, in most cases under extreme sub-standard living conditions and with no medical help. (1) British War Office Records. The incident of the execution by firing squad of Lieut. 's Harry Morant and Peter Handcock on 27thFebruary, 1902, has now passed, with considerable fame, into Australian Folklore. Morant was commissioned in the Bushveldt Carbineers, a unit formed by Lord Kitchener direct to fight the extreme Boer 'Guerrilla Action' in the Northern Transvaal. He was known as 'The Breaker' because of his superb horsemanship. 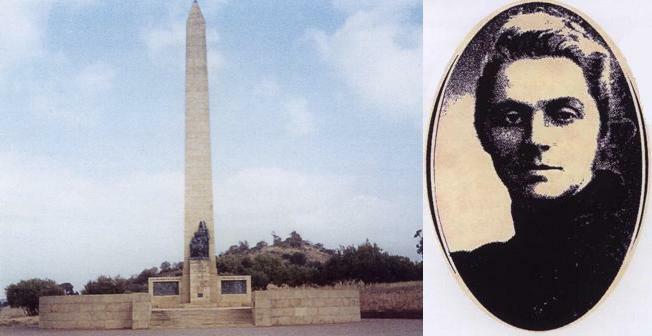 Whilst in this area, he was responsible for the shooting of Boer prisoners without trial. A missionary, the Rev. 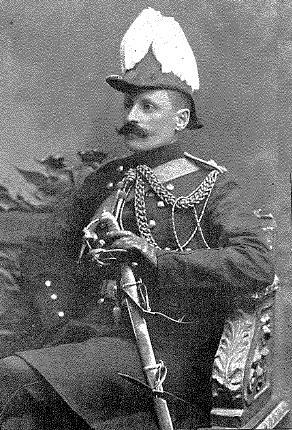 Hesse witnessed some of these shootings and was himself, shot later by Lieutenant Handcock. A third soldier, Lieutenant Witton was also involved. Although very severe, such actions at that stage of the war were not uncommon as the Conflict was going badly for the British. Soldiers were under direct orders to. Quote: 'Act harshly soldiers - take no prisoners'. At the instigation of the British High Command, they were put on trial, found guilty and court-marshalled. Morant and Handcock were shot by firing squad and Witton's sentence commuted to life imprisonment, being later released and pardoned through efforts of the Australian Govt. According to official researchers at a later stage, the trial was rushed, evidence clearly biased and simply 'staged' to appease British and Boer/German politicking. Although what Morant and Handcock did was very wrong, the strong feeling was that they should never have been found guilty of 'murder' as such and executed by firing squad. The incident became a major political issue, especially as the Australian Government had not been informed beforehand and also, had expressly forbade 'Corporal Punishment' against any Australian soldier in the field without its full approval. The incident has been the subject of much debate over the decades, also covered in several publications and a major film. QUOTE: 'If ever there was a Conflict that called for a Monument to the Military Horse, it was the South African War.' A.B. (Banjo) Paterson. Sydney Morning Herald. Circa-1900. 1. The 'vastness of the veldt' being thousands of square miles over which the fighting took place. 2. The extent of 'guerrilla warfare' in which the Boers engaged, making it essential for both sides to be mobile for quick transport, as opposed to infantry fighting. Australian forces were mostly mounted infantry and took their horses with them. 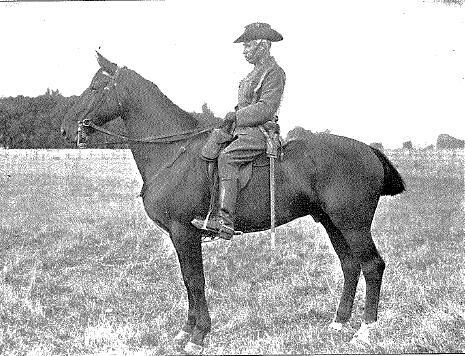 They were the famous 'Walers' known generally as a very good breed of military horse in their day. They date back to the First Fleet when seven horses - one stallion, five mares and one colt - came ashore at Sydney Cove. Later, they were cross-breed with other horses over the decades, the result being a new type of bush horse suited to the Australian climate. Because of their strength, they were used by the explorers, stockmen, farmers and especially the military. - Horses, Oxen, Mules expended during the Boer War conflict: (Est.) 415,000. - In the transport of military horses from the various countries to South Africa, it is estimated that approx. 12,000 died at sea on the journey.